In this issue of The Tower View: download the King Estate Trade App, learn about the accolades on our 2016 King Estate Pinot Noir and check out our marketing tools for Oregon Wine Month. Cheers! We have some exciting tools to share with our trade community. First off, it is my pleasure to introduce the King Estate Trade App to you! This app is built to help communicate the King Estate story to our mutual customers. The app is available for download on the App Store for your iPhone or iPad now, and will soon be available for all android devices. 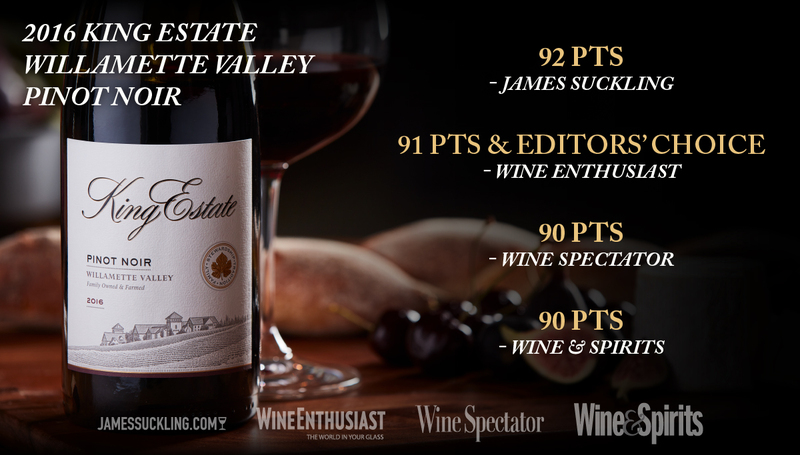 Second, 2016 King Estate Willamette Valley Pinot Noir continues to impress – tallying a bevy of 90+ scores from the nation’s leading wine critics. 2016 could prove to be one of the most acclaimed Pinot Noir vintages in Oregon history. Please have a look at the news below and spread the word! Lastly, Oregon Wine Month is almost here! We have a series of custom-made King Estate branded Oregon Wine Month tools that you can order from us or print and share on your own. Let’s make this May the best Oregon Wine Month yet! Oh, and one last thing, have you tried our new 2018 King Estate Willamette Valley Rosé of Pinot Noir yet? It's a knockout and I look forward to your first impressions. The King Estate Trade App is now available for download on your iPhone or iPad via the App Store. We will be rolling out the Android version on Google Play in the coming weeks. This brand new app is your all-inclusive tool for educating our community on King Estate Winery. Watch videos, download brochures, find out where our wines are sold, communicate with staff here at the winery, and so much more! Have you tried our 2016 King Estate Willamette Valley Pinot Noir? It is always humbling and inspirational to receive credit from the world's leading wine publications. We couldn't be more proud of our winemaking staff and their efforts. We are honored to share the accolades with you. Oregon Wine Month is resonating with our customers and our fellow vintners more than ever before. 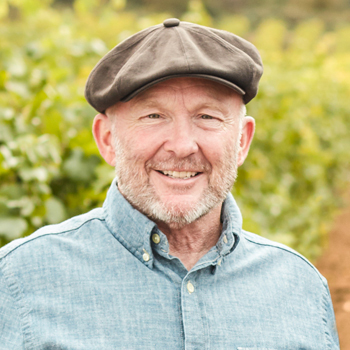 We want to take this opportunity to share our tools with you and communicate the message of Oregon wines together. The Oregon Wine industry is stronger than it has ever been, and that success is shared with our trade partners around the world. Please contact us if you would like to use any of these materials, we have them here at the winery for you to order and we would be delighted to share them with you. Copyright © 2019 King Estate, All rights reserved.